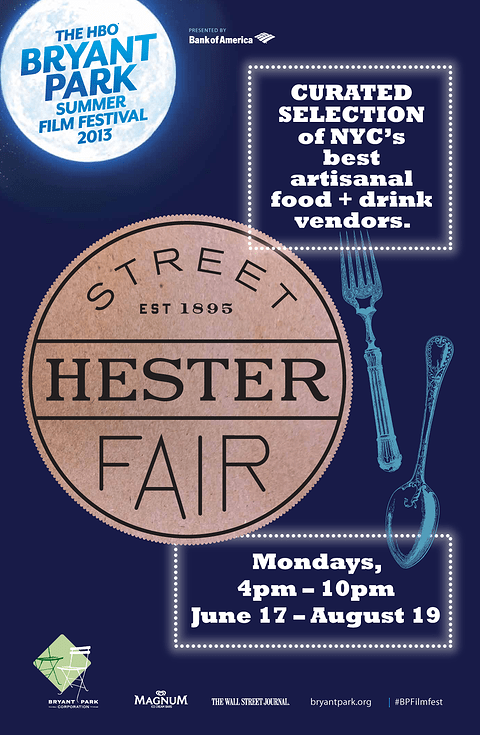 Enjoy dinner, snacks and drinks from Hester Street Fair vendors at this year’s HBO Bryant Park Summer Film Festival. The film series returns for its 2013 season tonight with a free outdoor screening of Tootsie and the Hester artisanal food fair is joining in this year with a pop-up market at the southwest corner of the park from 4 p.m. to 10 p.m. Lawn seating opens at 5 p.m and the film will start approximately 30 minutes after sunset.